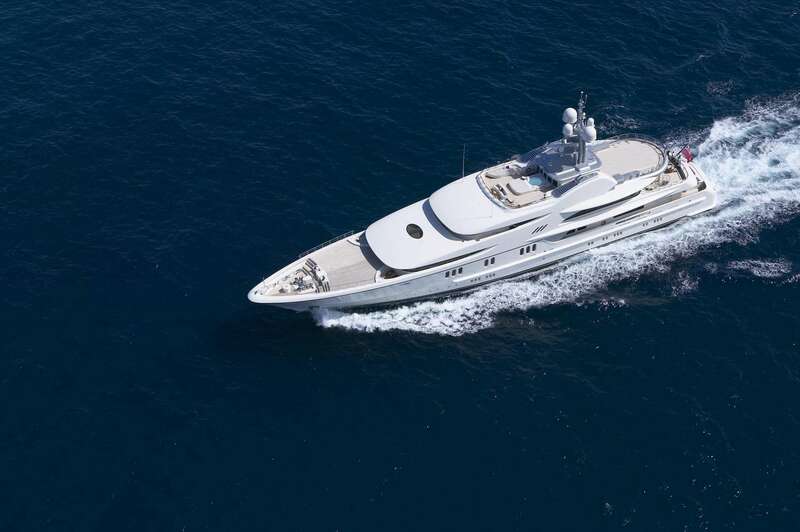 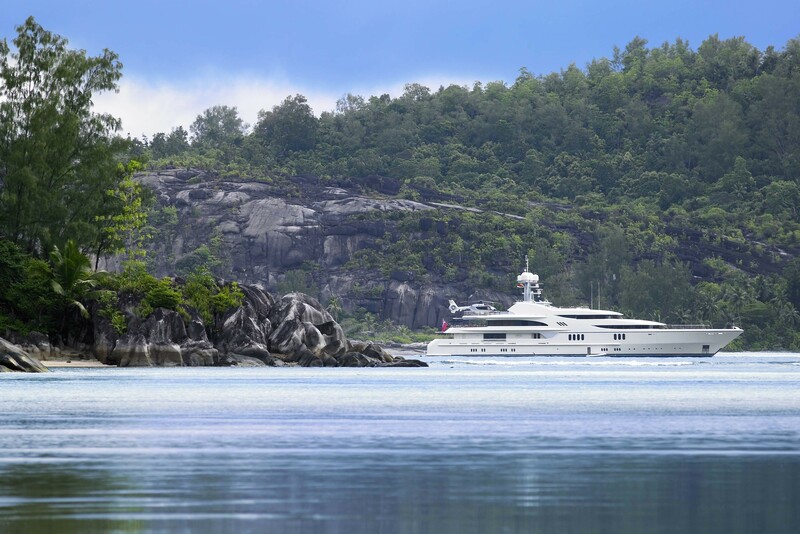 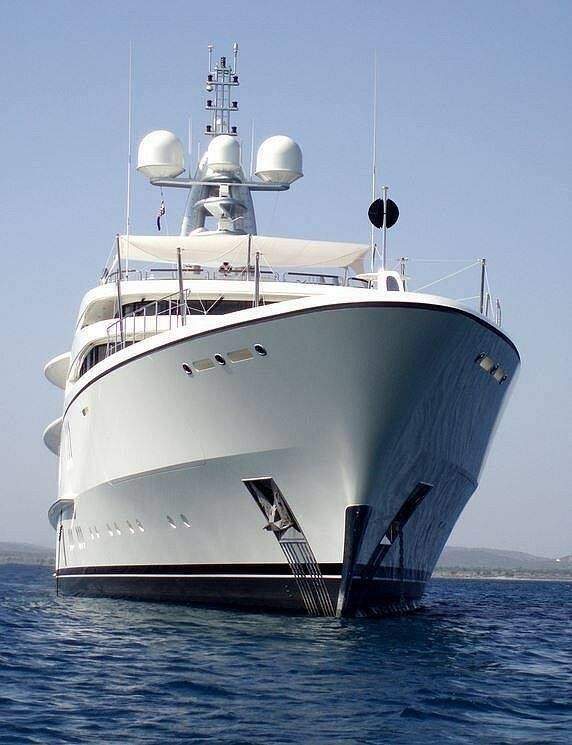 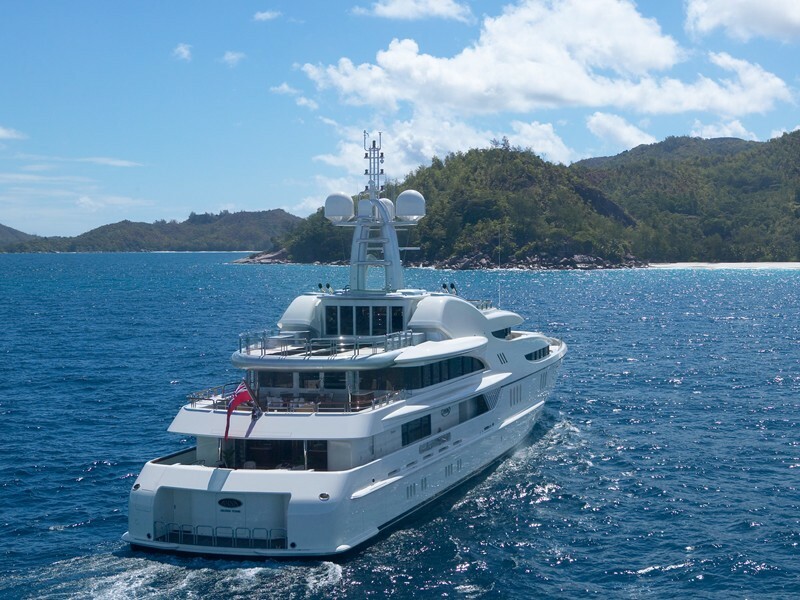 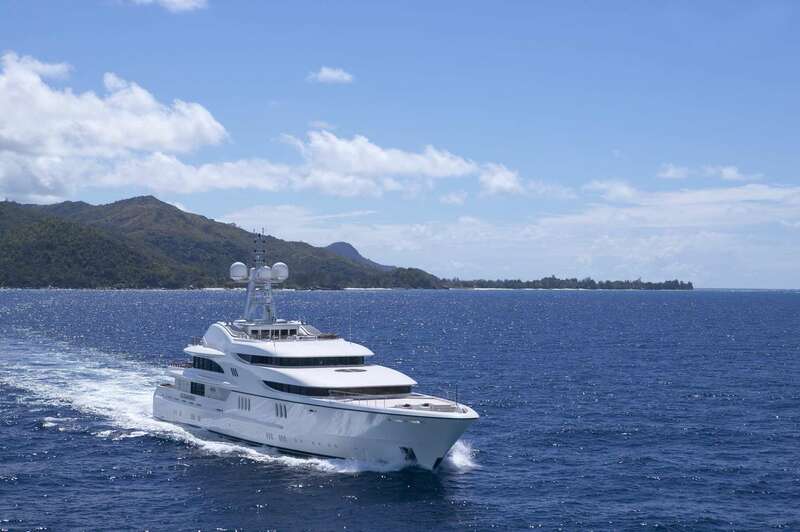 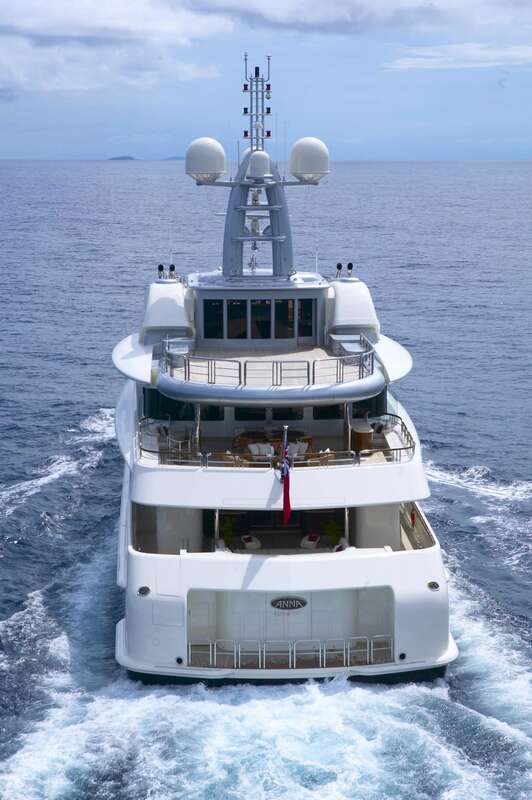 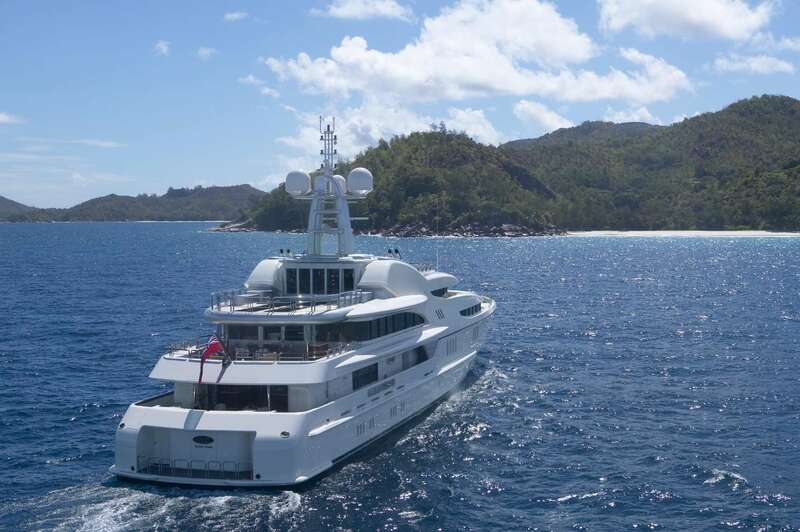 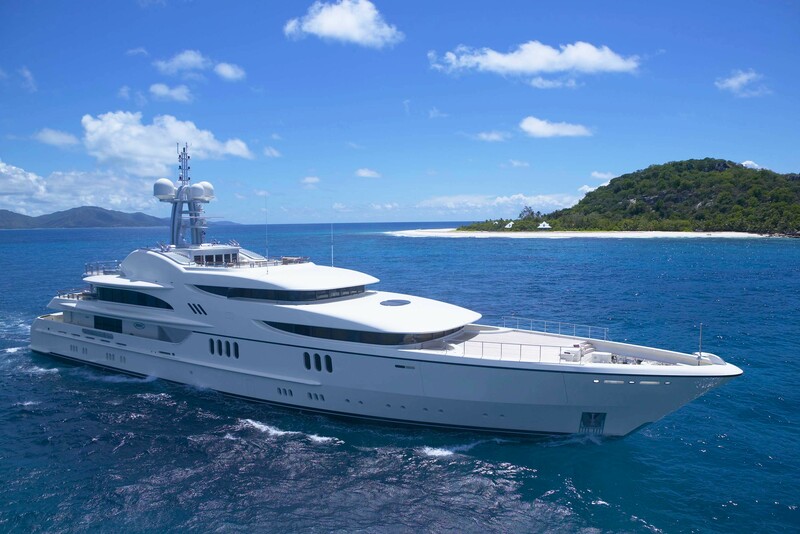 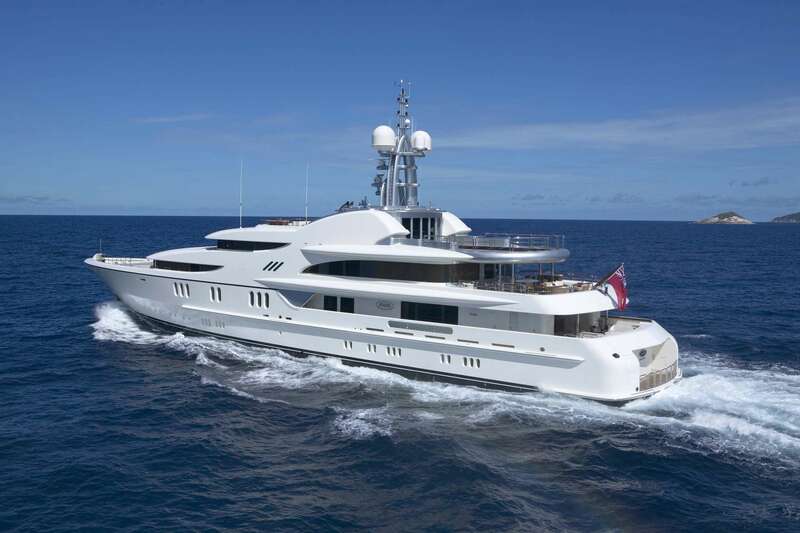 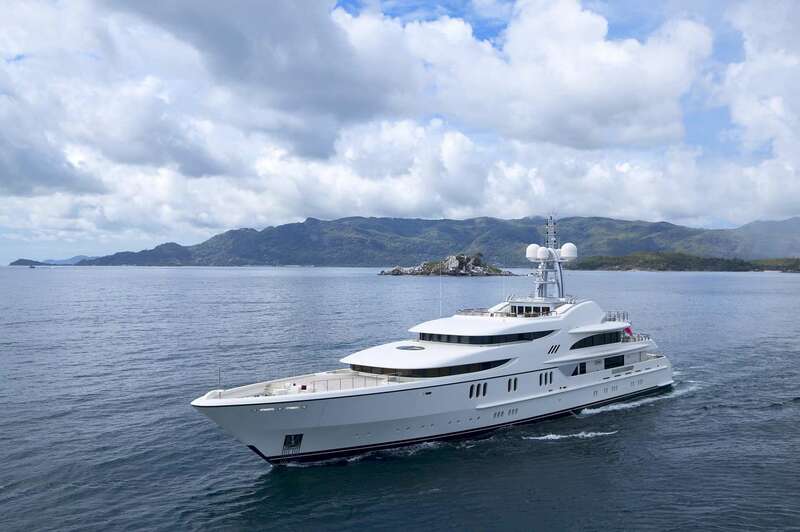 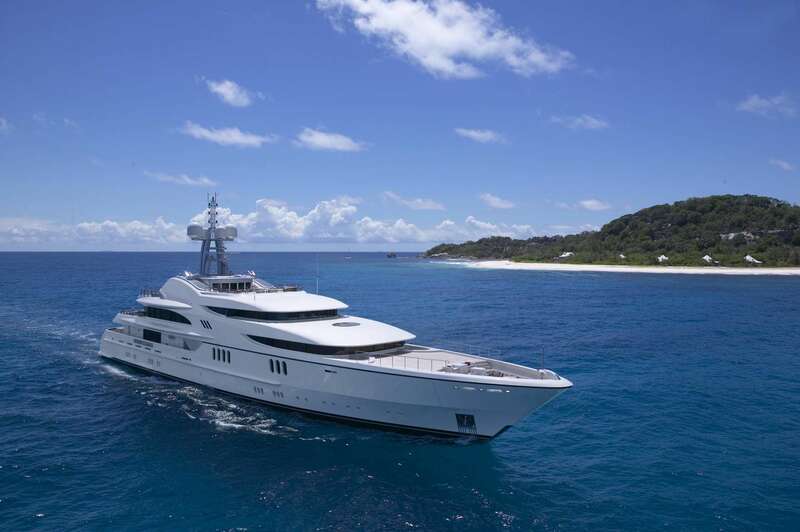 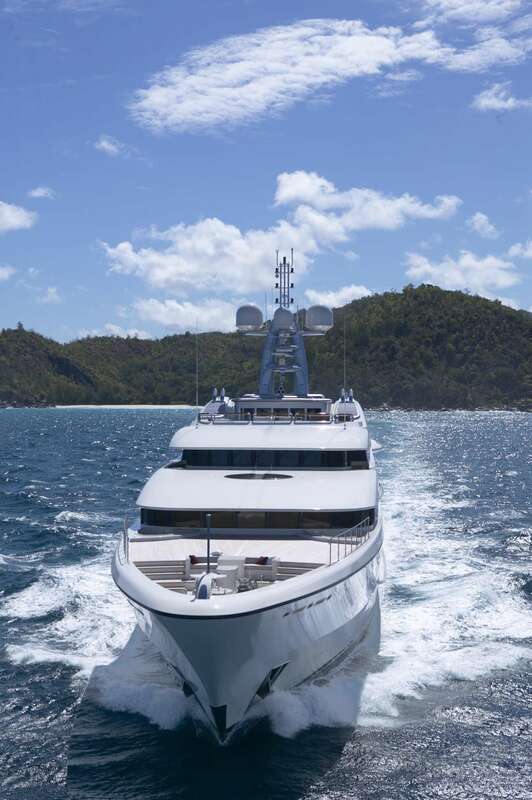 ANNA I was launched in 2007 by the respected and renowned Dutch shipyard FEADSHIP. 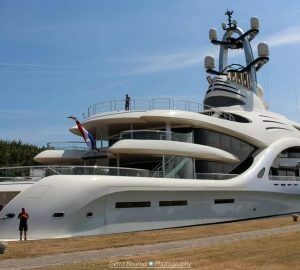 Measuring 67m (219,10ft) overall, the superyacht features Naval Architecture by De Voogt RDV and interior styling by Mick Leach Design. 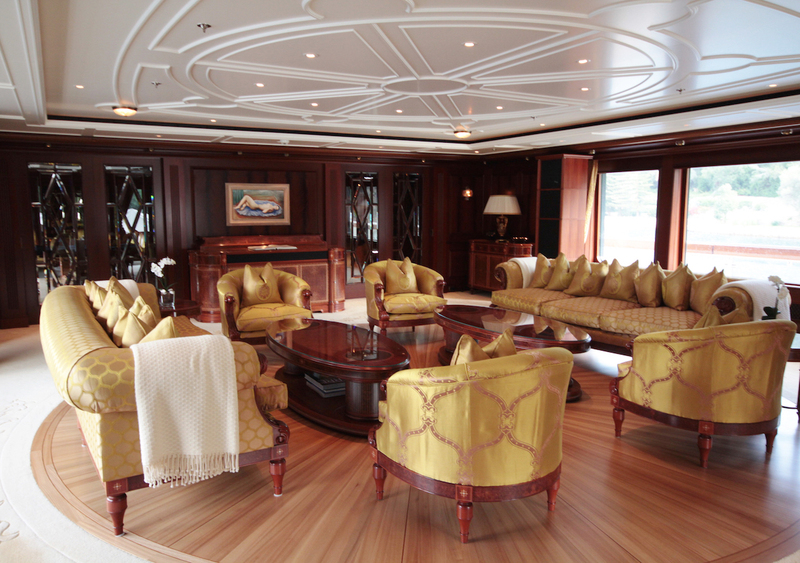 She accommodates 12 charter guests, in 6 spacious cabins. 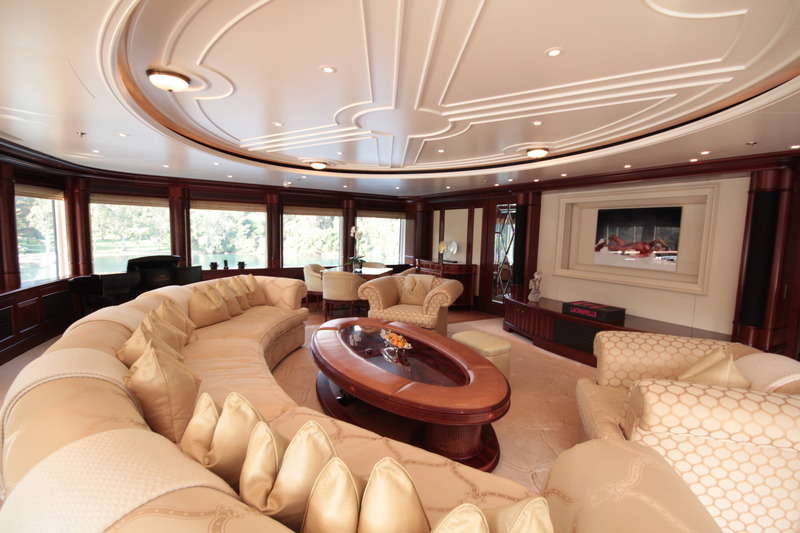 The interior living areas spread over three spacious decks and offer plenty of relaxation and entertainment options. 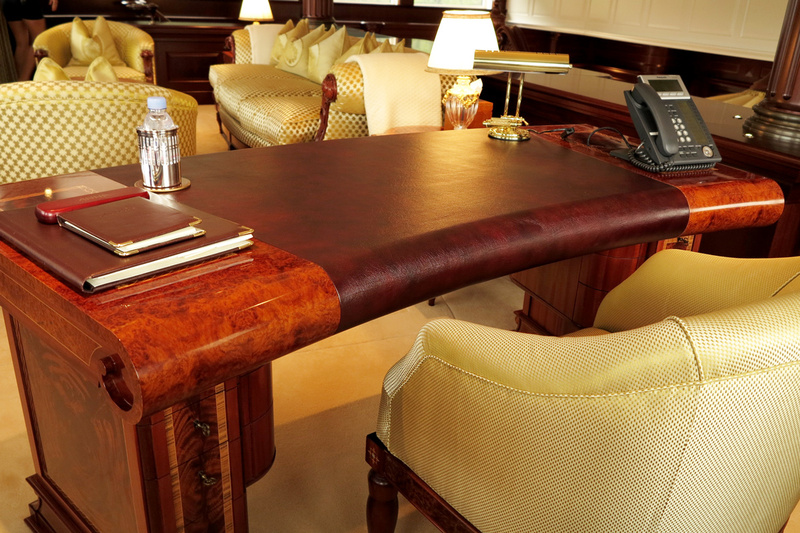 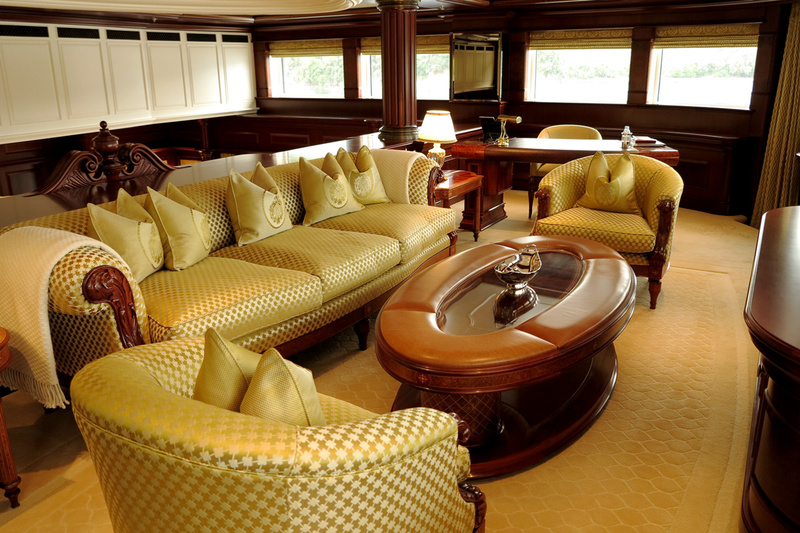 Much of her bespoke furnishing is by Silverlining. 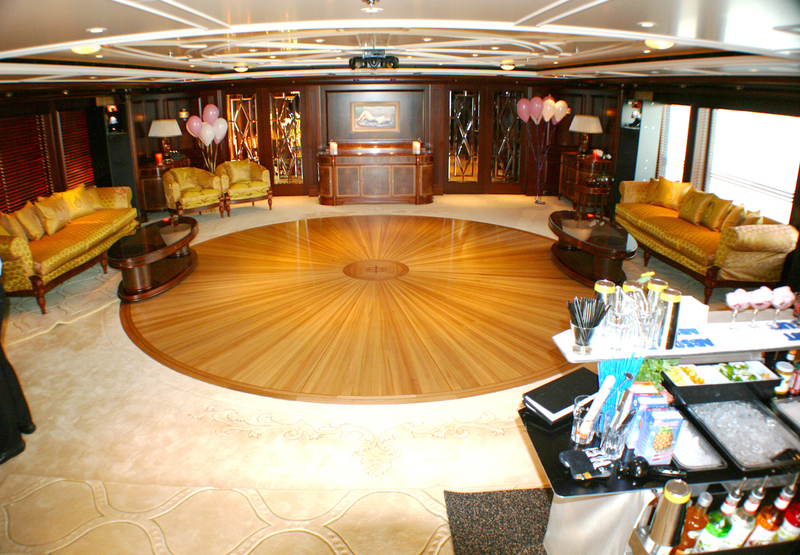 The main salon is generously appointed with a large lounge with plush furnishings, while also boasting the unique option to convert into a stylish disco room. 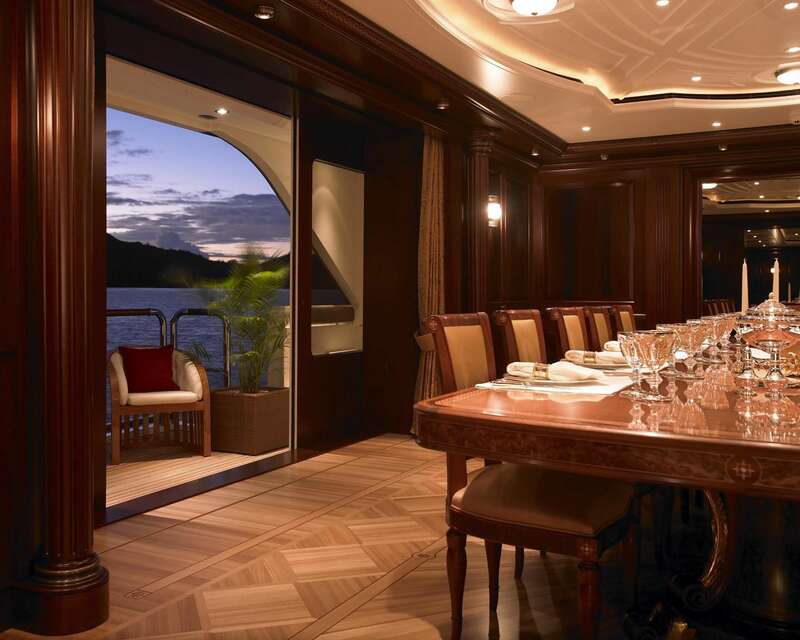 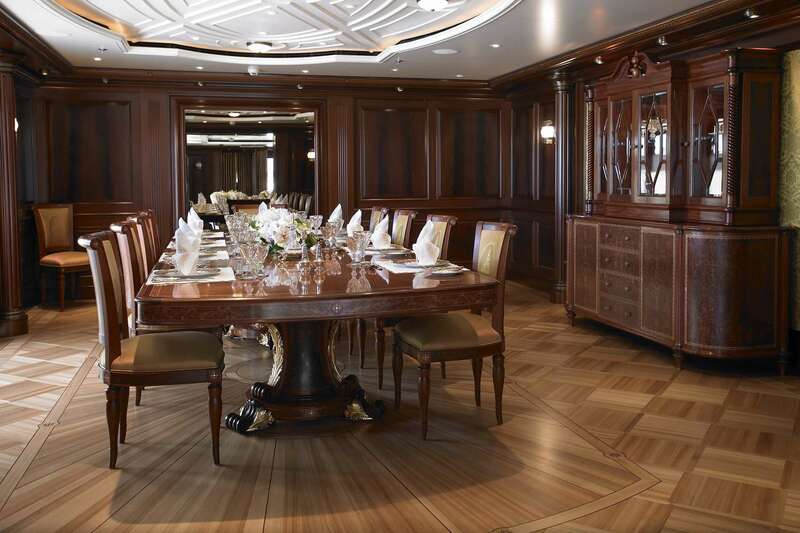 Separate and forward of the salon is an elegant formal dining room, with seating for 12 charter guests, along with a private balcony offering fabulous views. 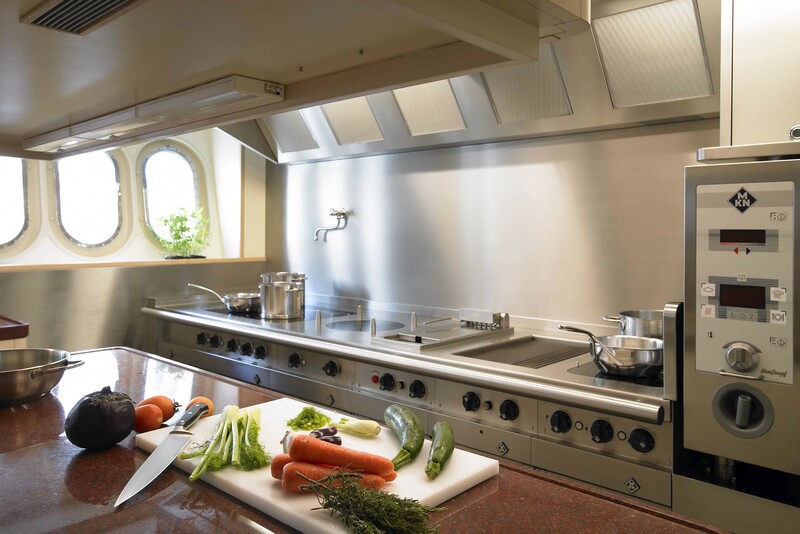 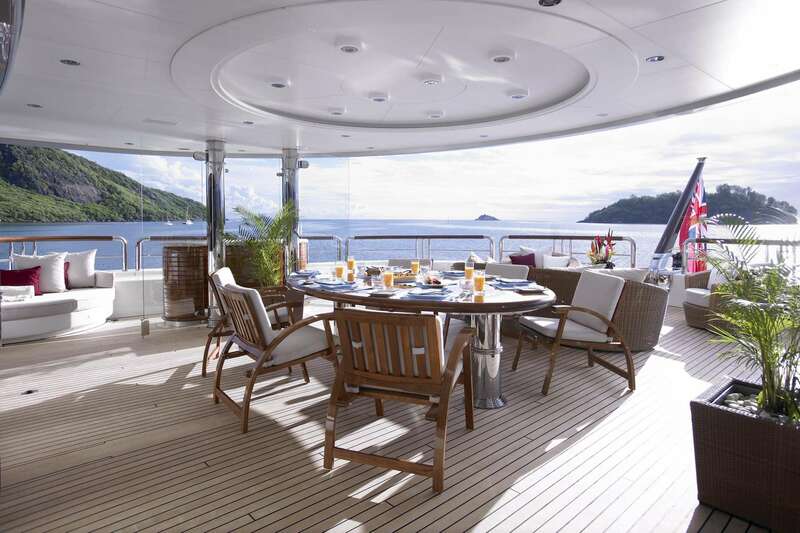 Exterior living aboard ANNA I is impressive. 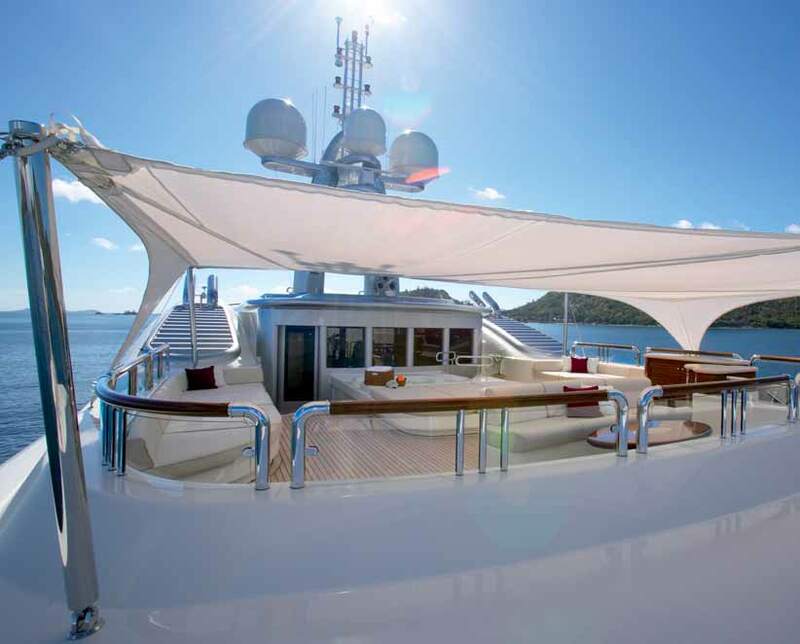 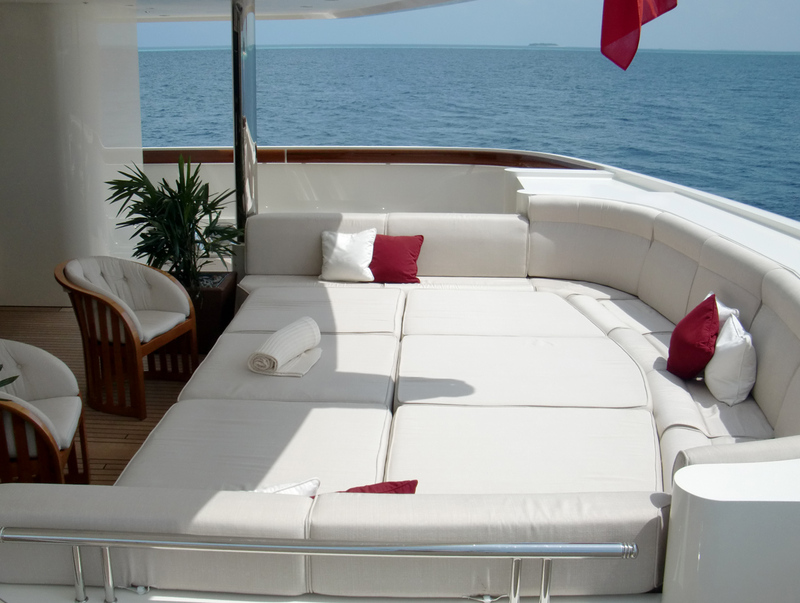 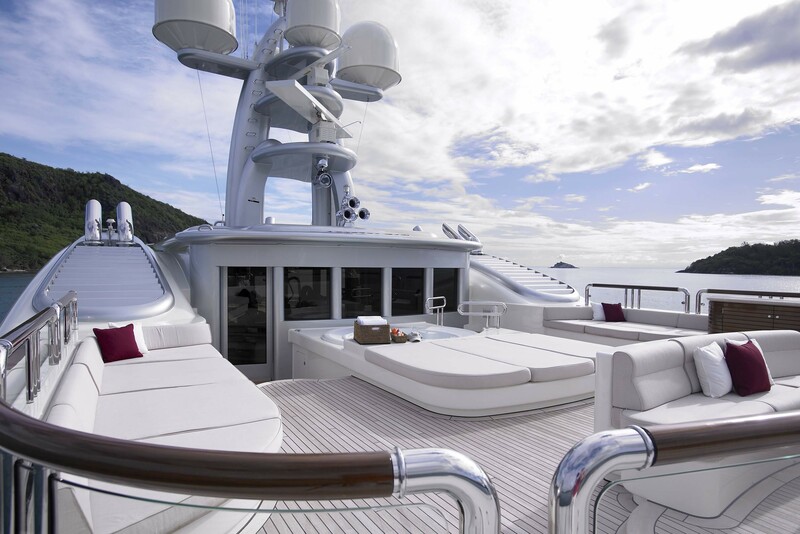 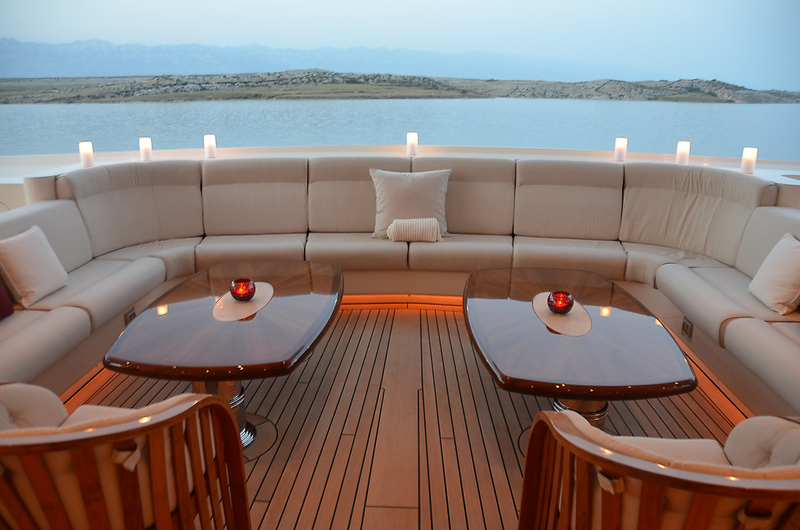 The main aft deck features an alfresco dining area with a lounge, that converts to reveal a large sunpad. 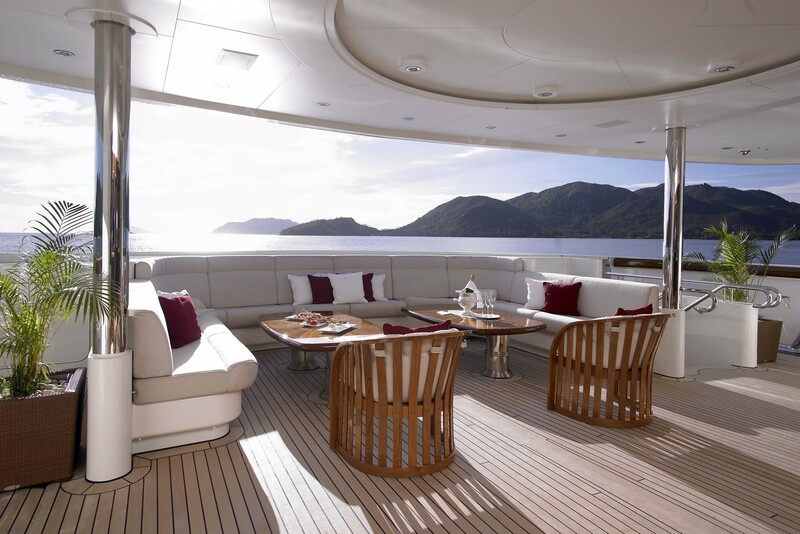 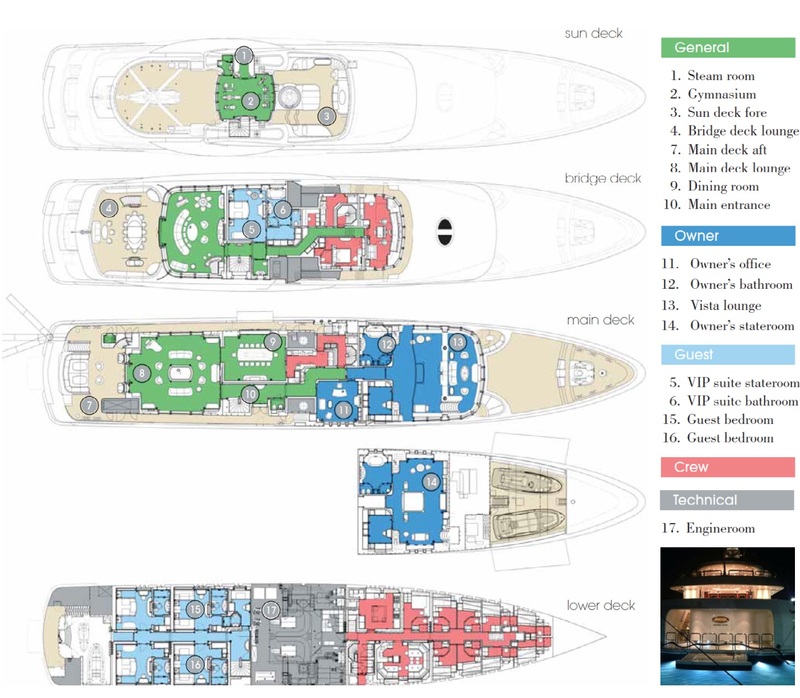 The upper aft bridge deck offers an alfresco dining table and comfortable lounge seating. 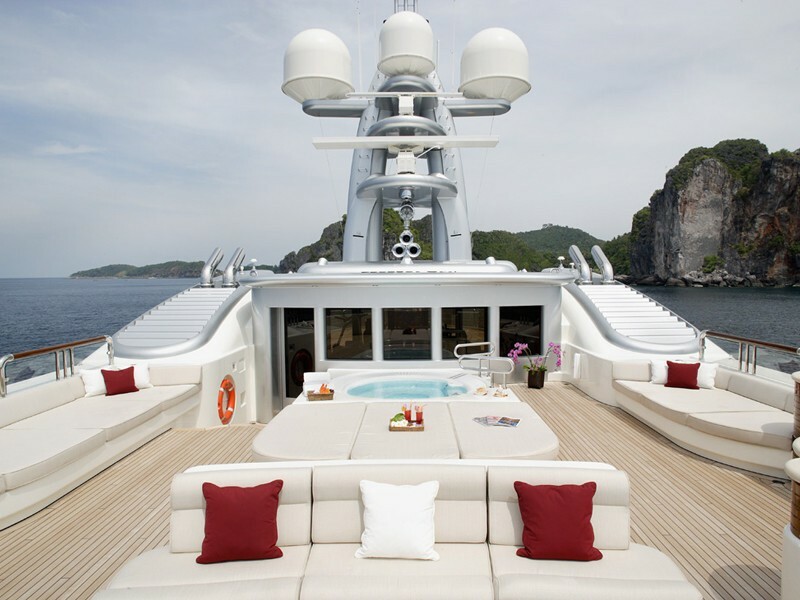 Her sundeck is equipped for complete relaxation, offering a deluxe Jacuzzi tub, ample seating, alfresco dining and optional shade. 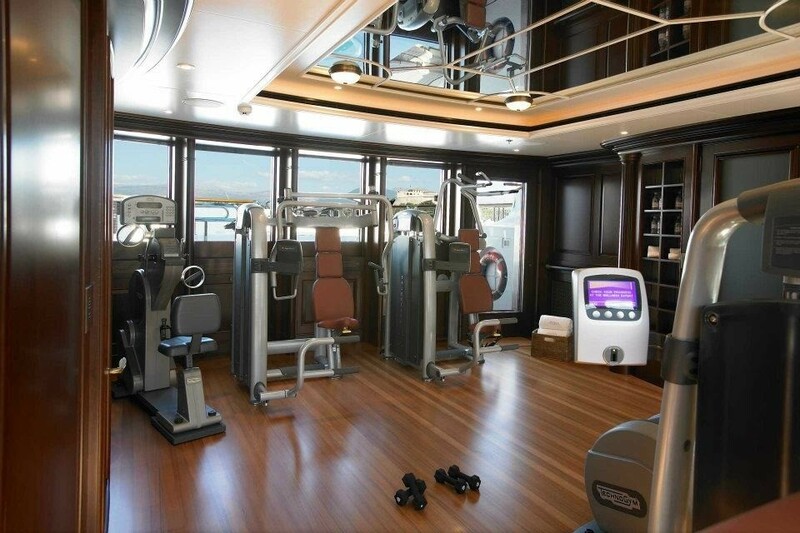 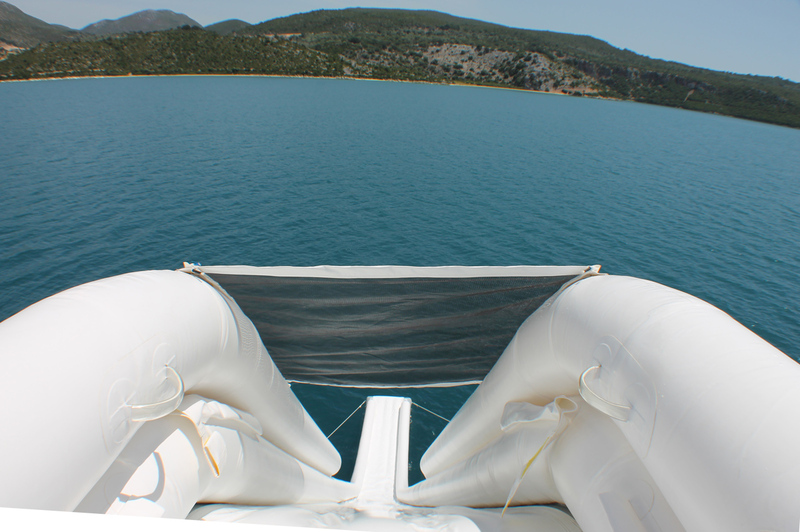 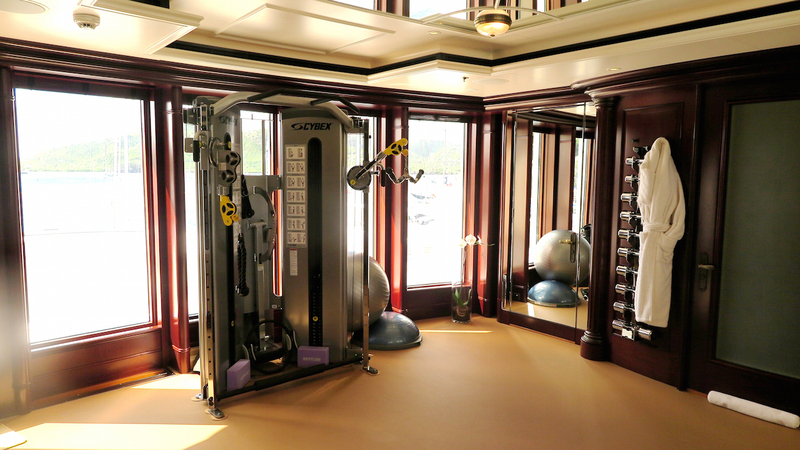 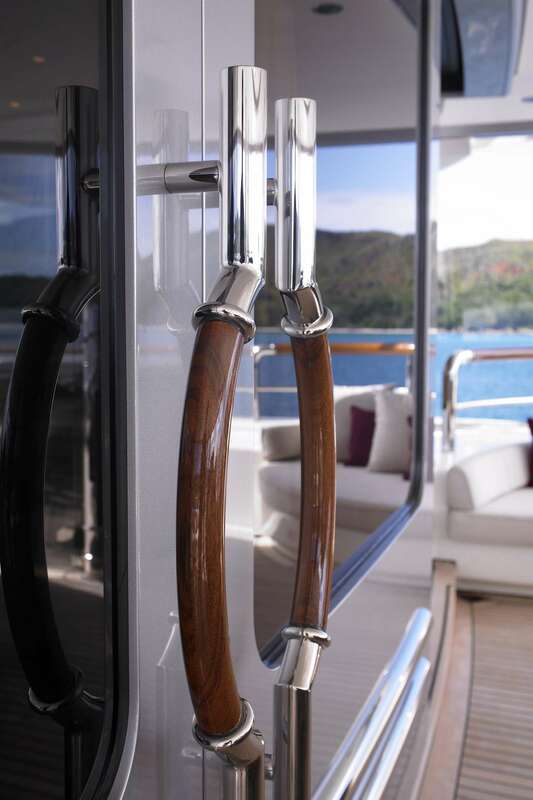 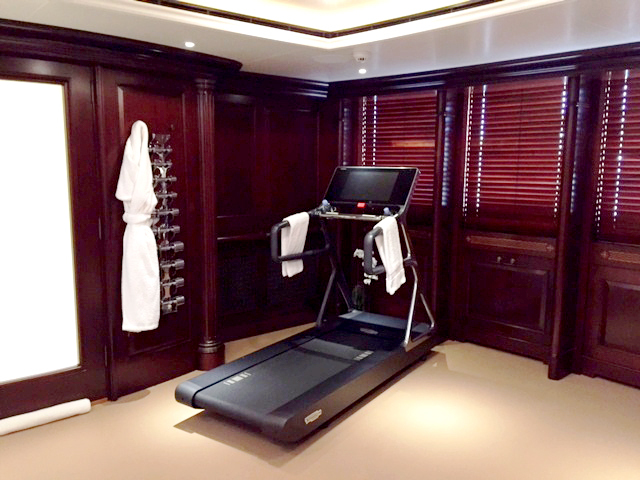 In addition to the sundeck, an enclosed space boasts a fitness gym with spacious Hamam. 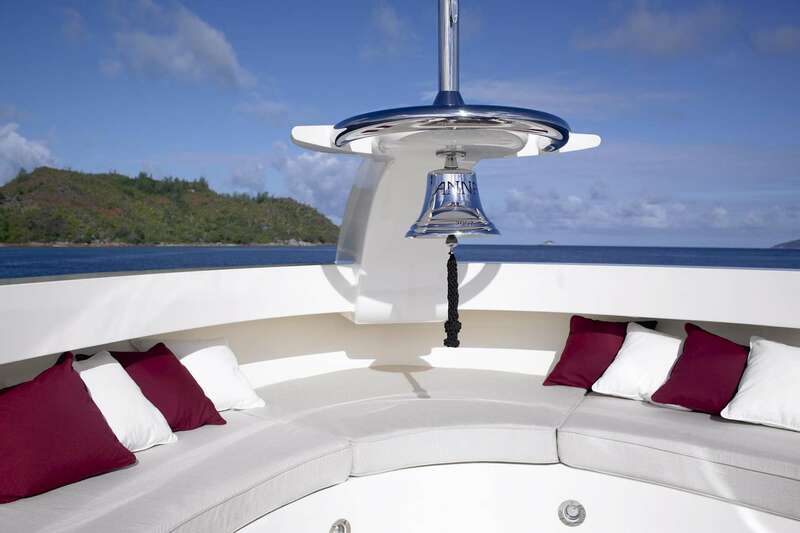 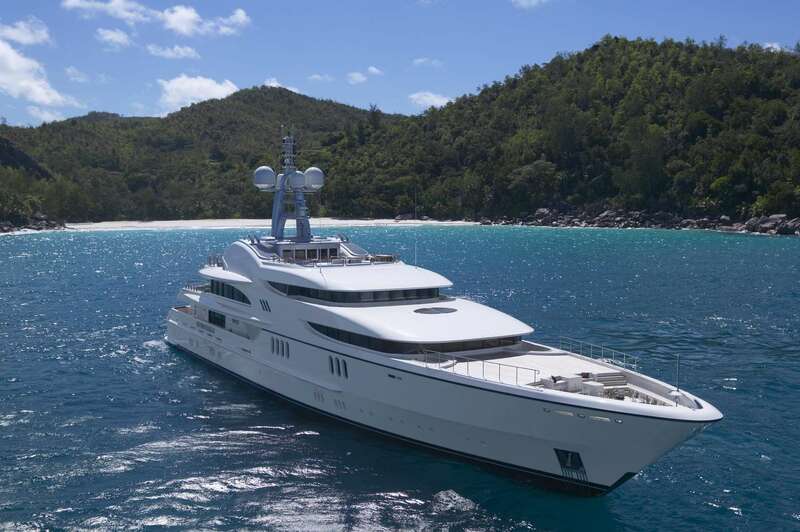 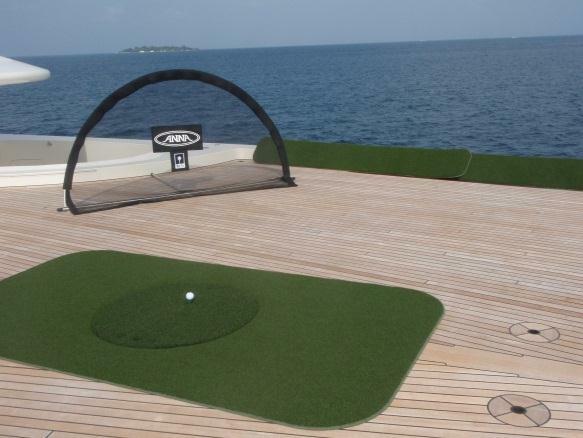 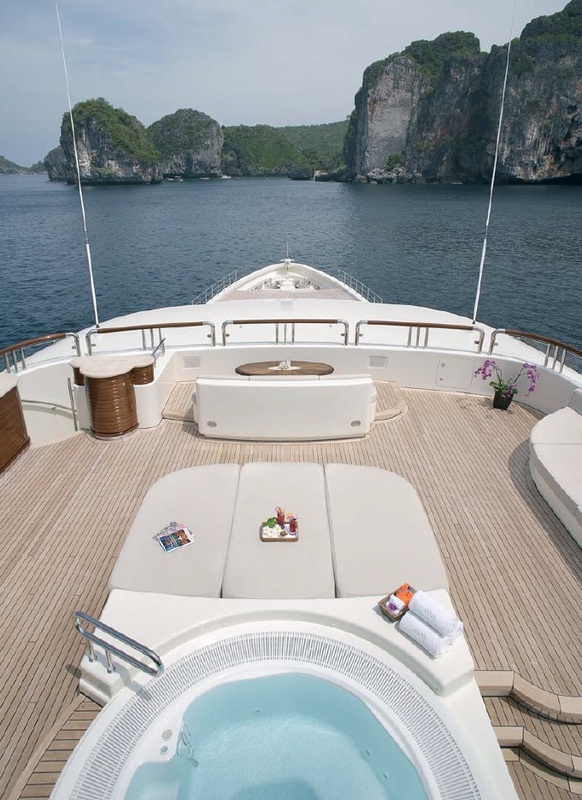 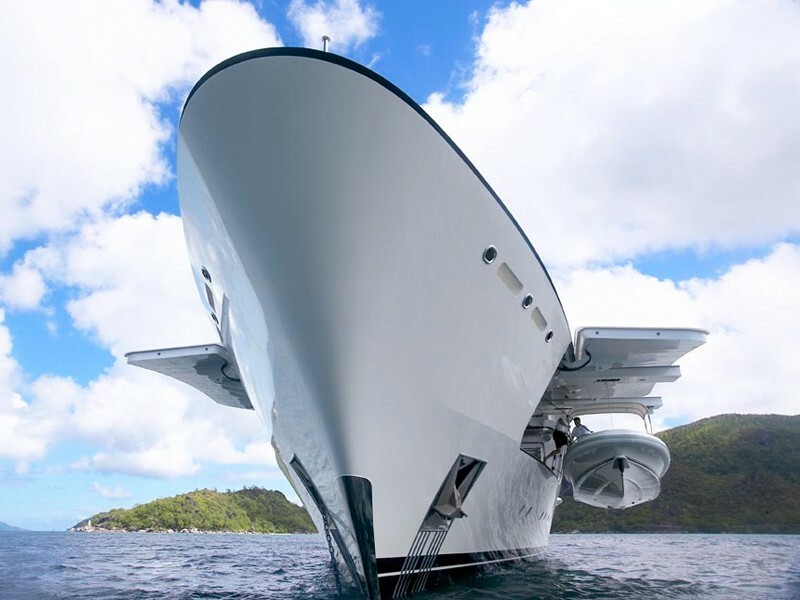 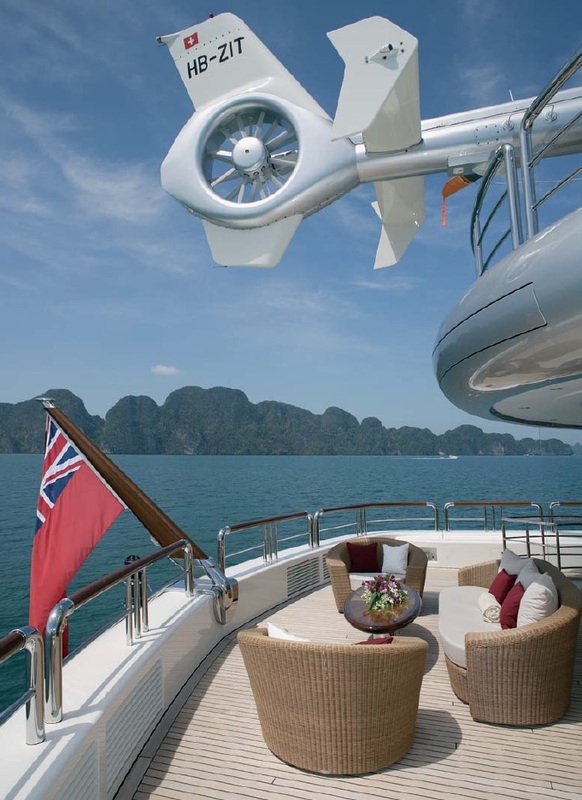 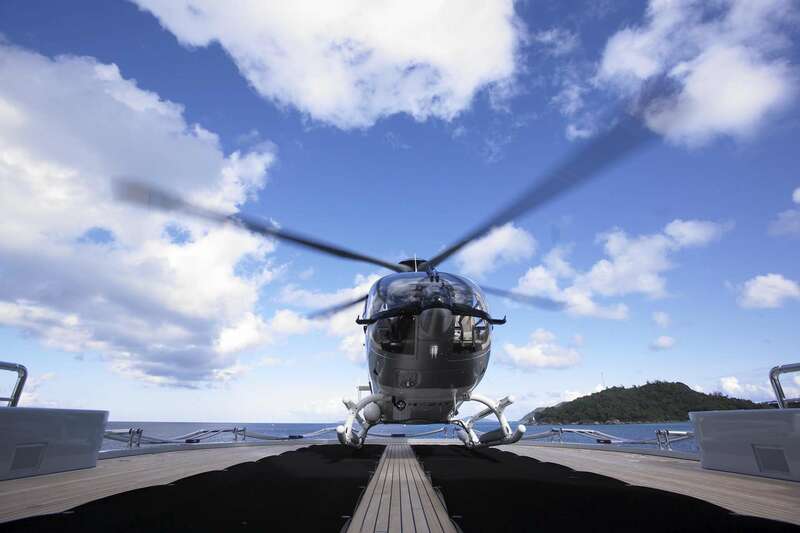 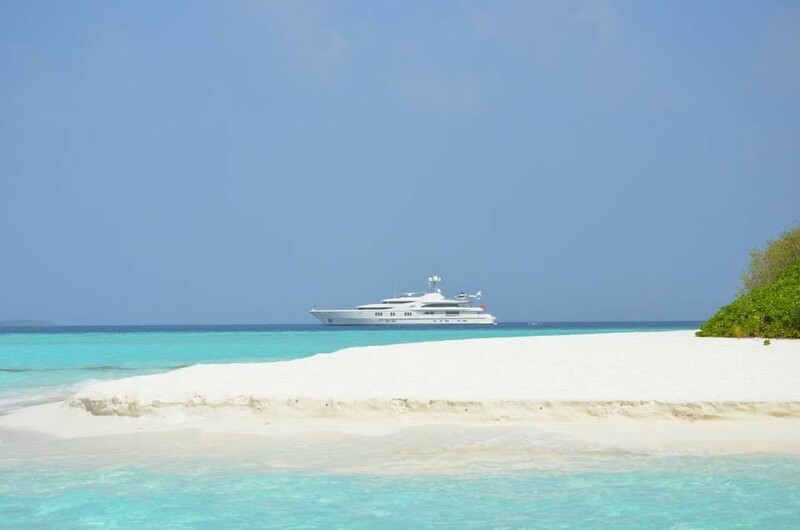 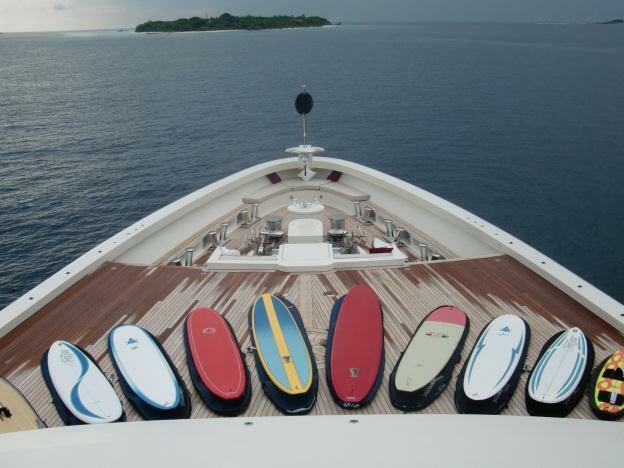 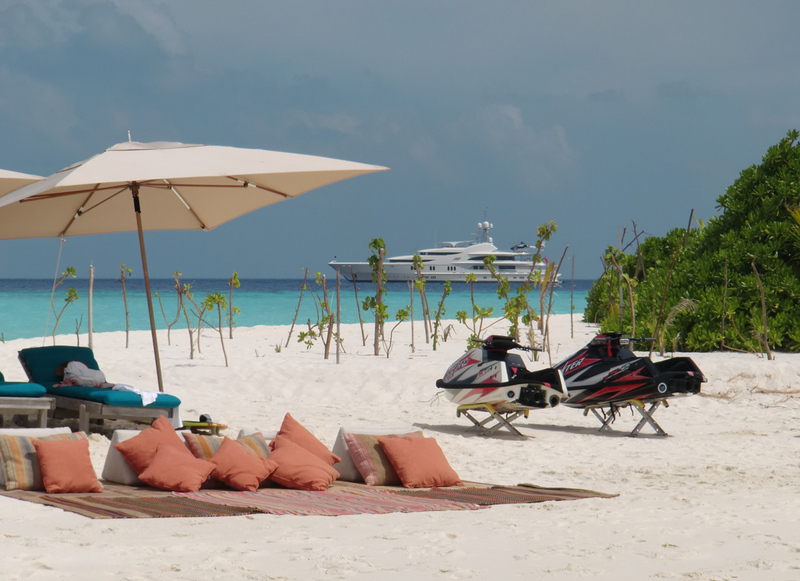 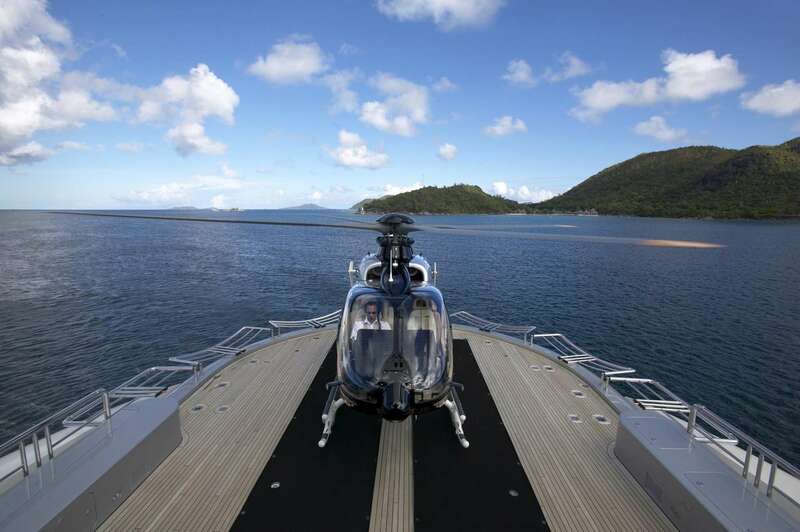 The yacht has a helipad which can be used as a more intimate and private sunning space. 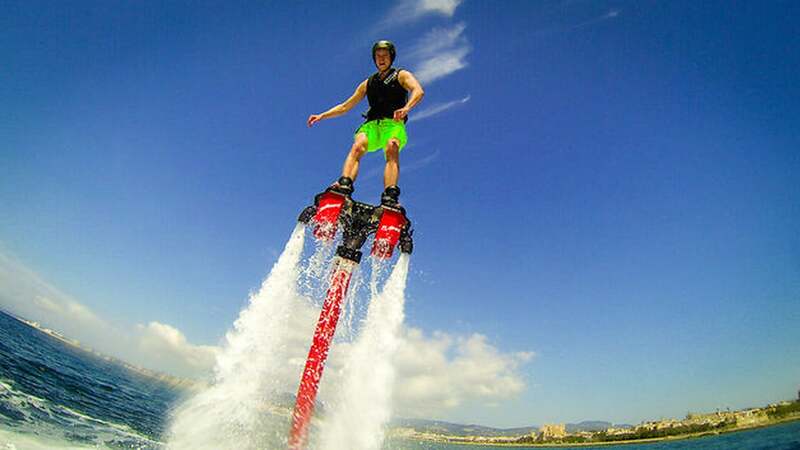 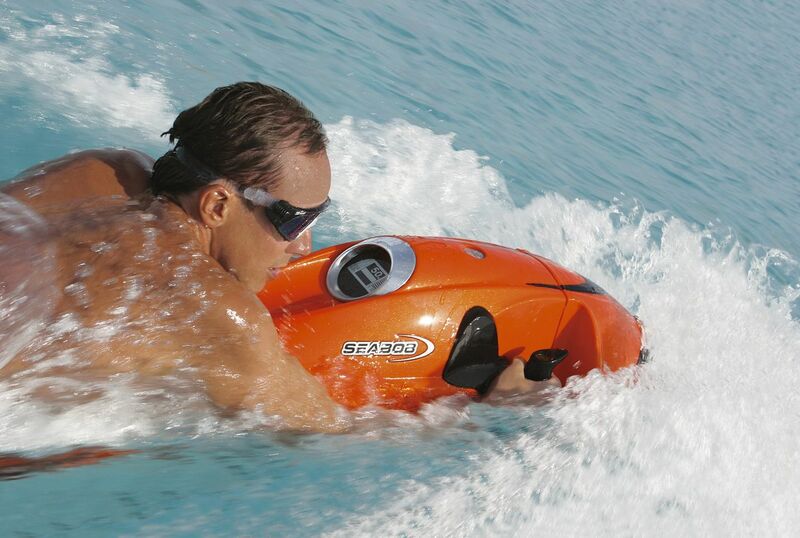 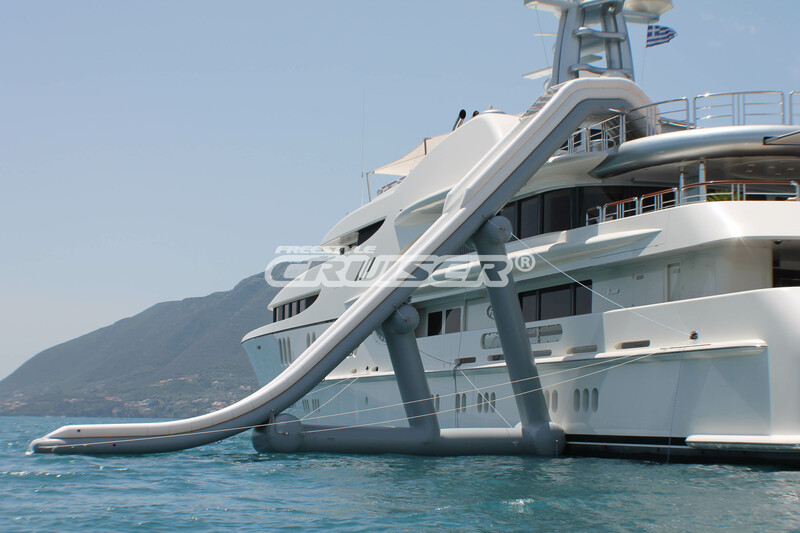 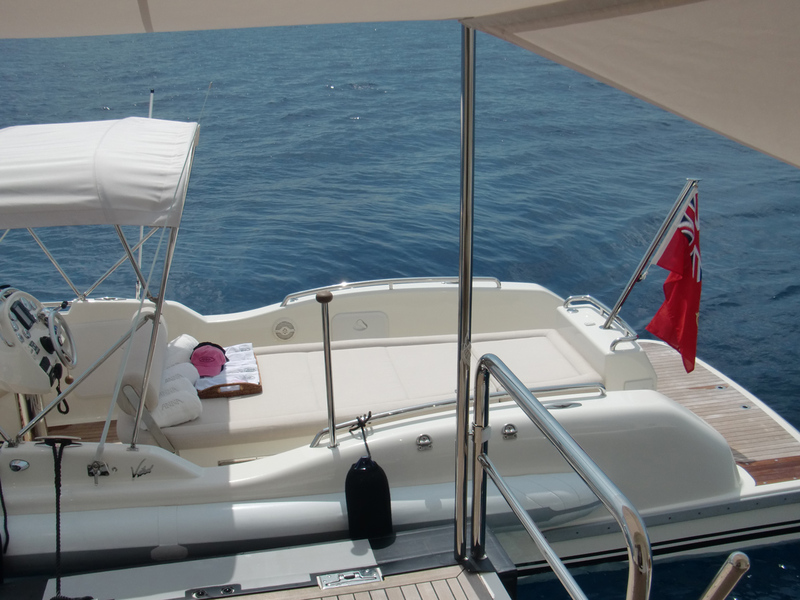 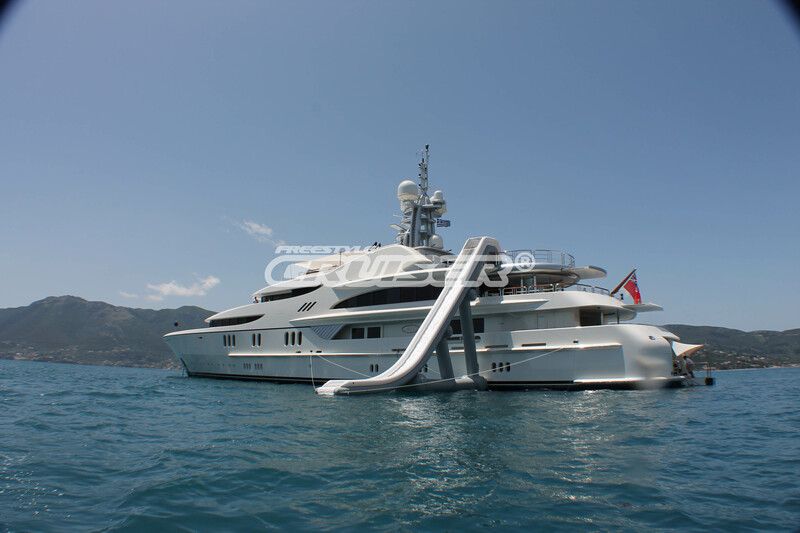 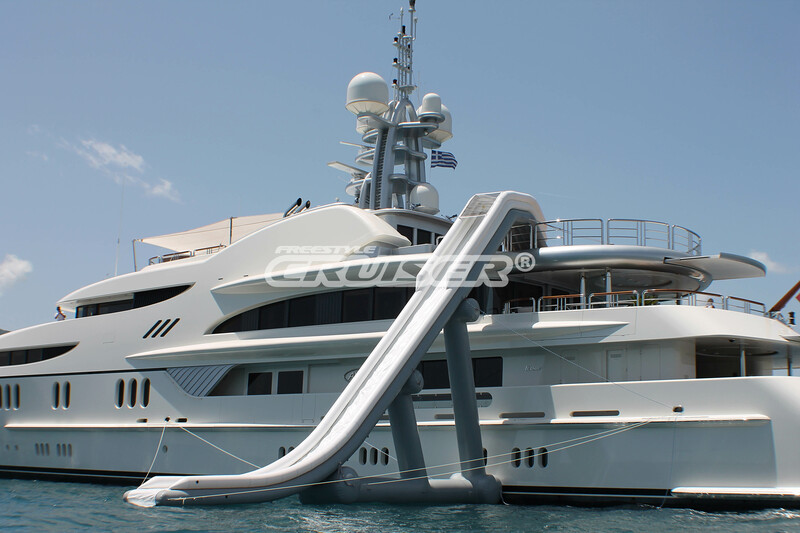 For the water enthusiasts, the yachts exceptional list of toys on offer, are easily accessed from the extended swim platform. 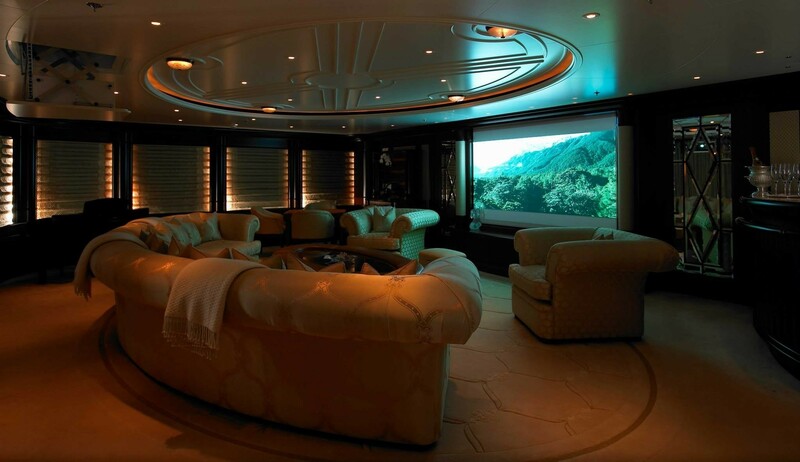 The upper deck has a skylounge, easily doubling up as a cinema room. 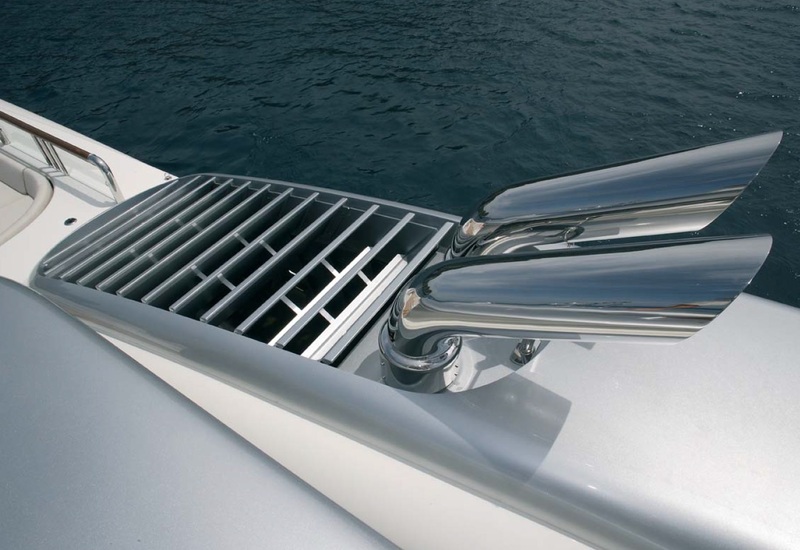 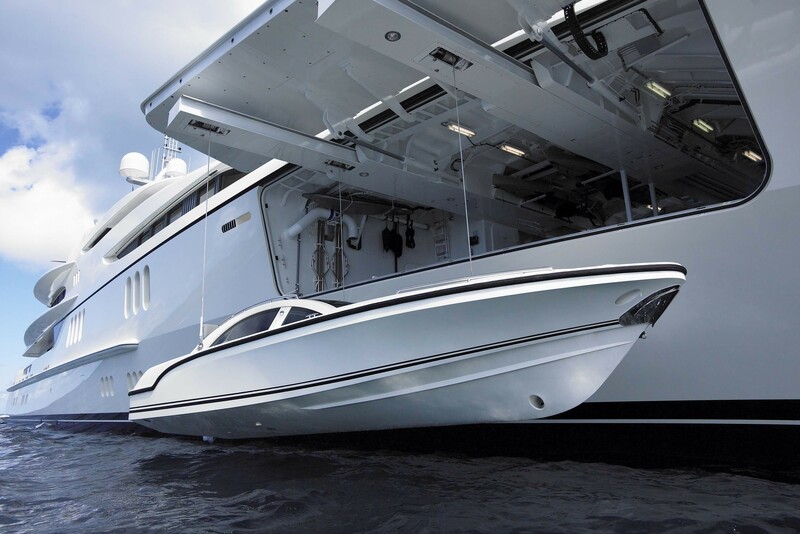 Powered by twin CAT 2,682hp engines, she has cruising speeds of 13 knots and top speeds of 16.3 knots. 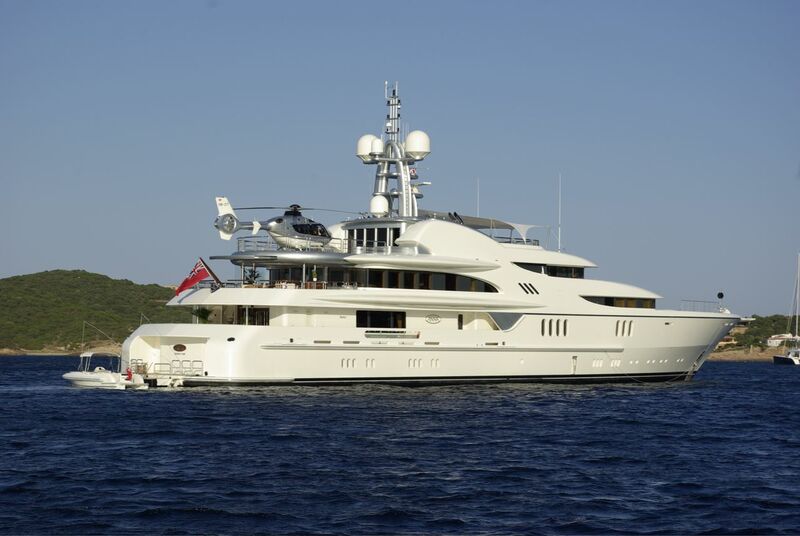 ANNA I is fitted with at anchor and under way stabilizers ensuring optimum comfort. 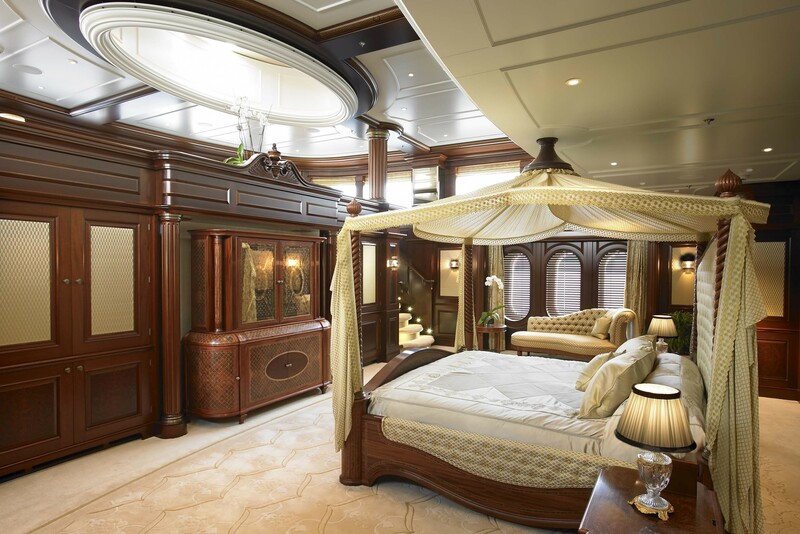 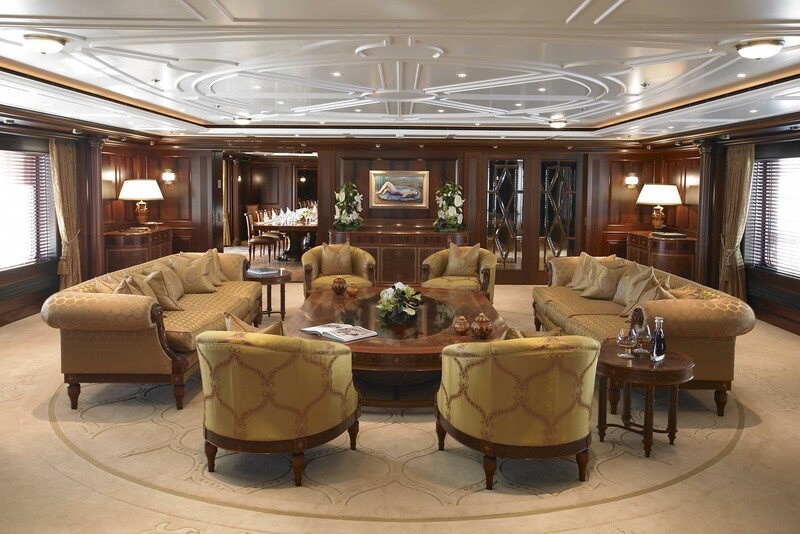 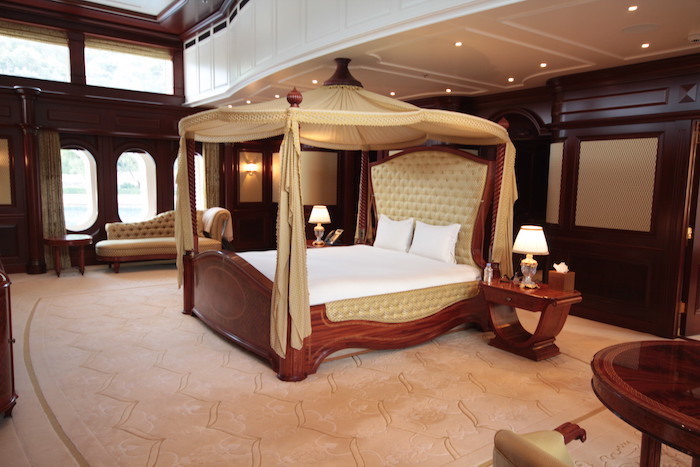 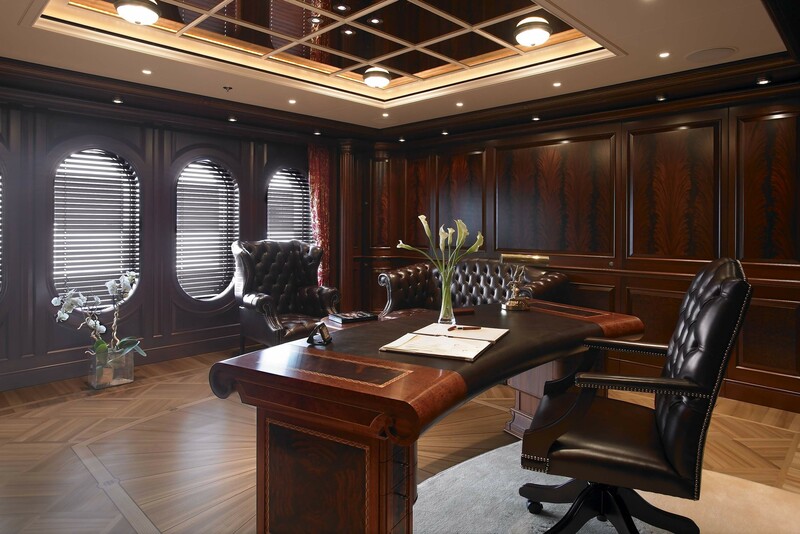 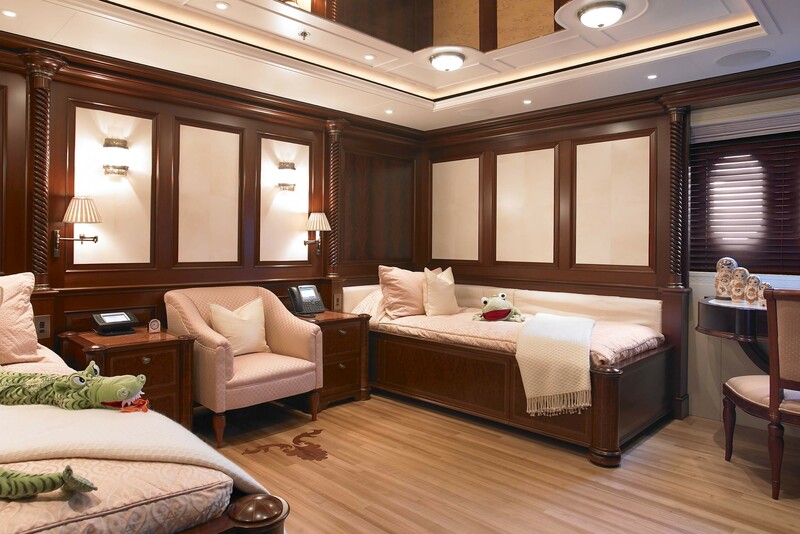 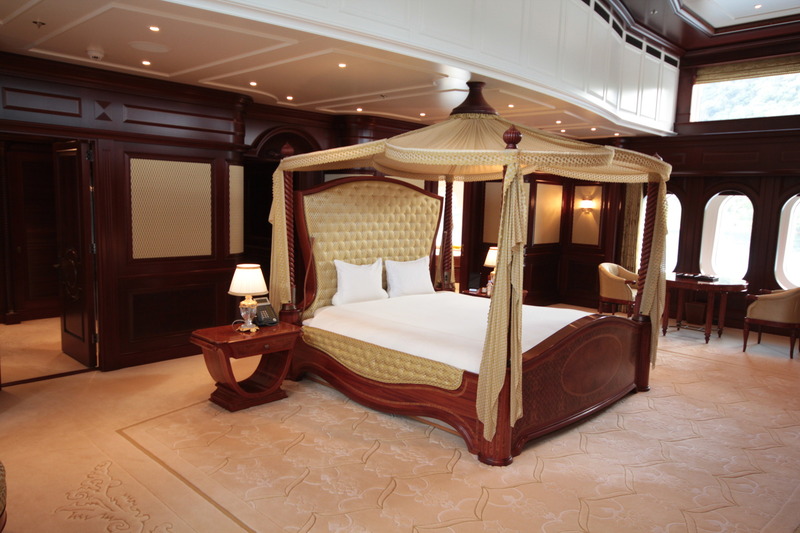 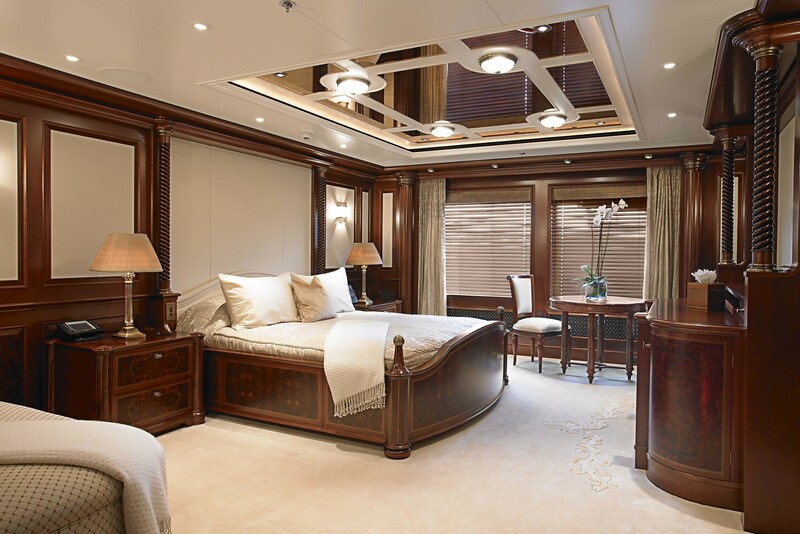 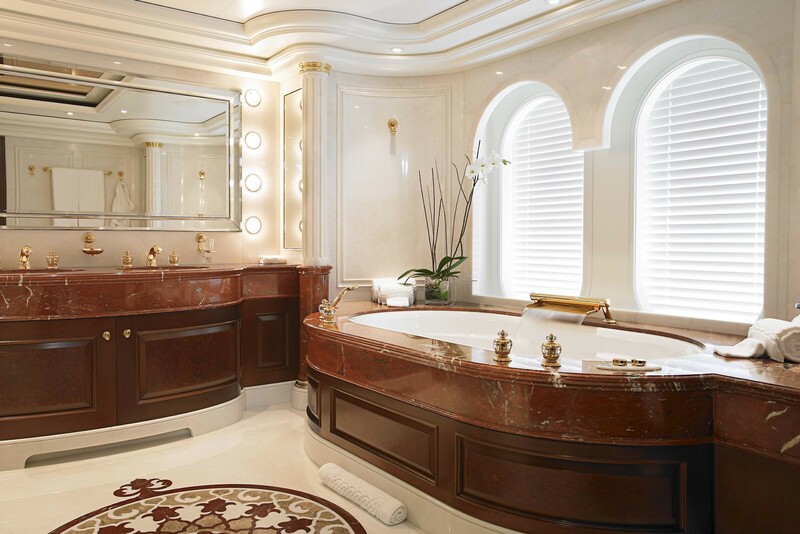 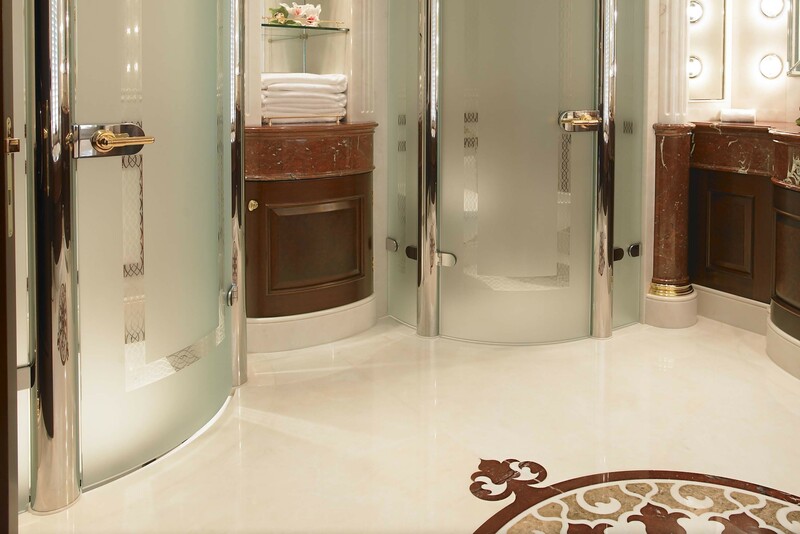 The opulent master stateroom is located on the main deck and is split into a higher and a lower level. 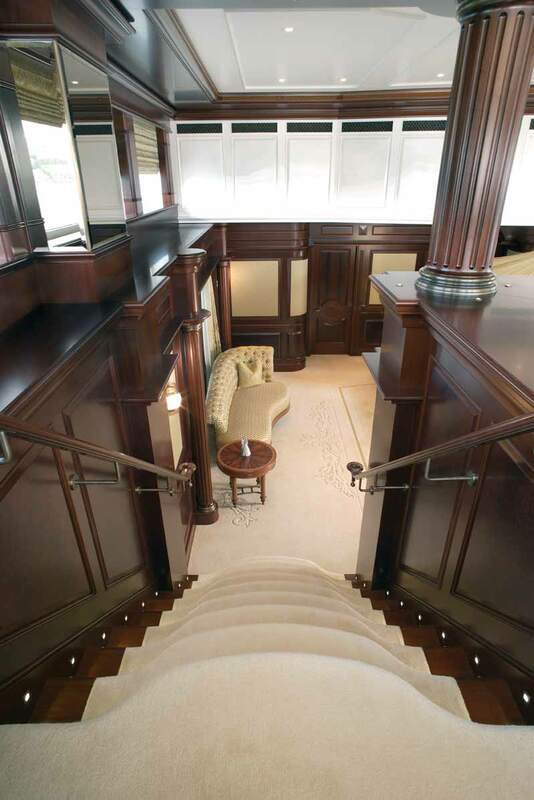 A central foyer leads through to a private office, full beam master cabin with king sized four poster bed, a private study, wardrobe and a large marble ensuite. 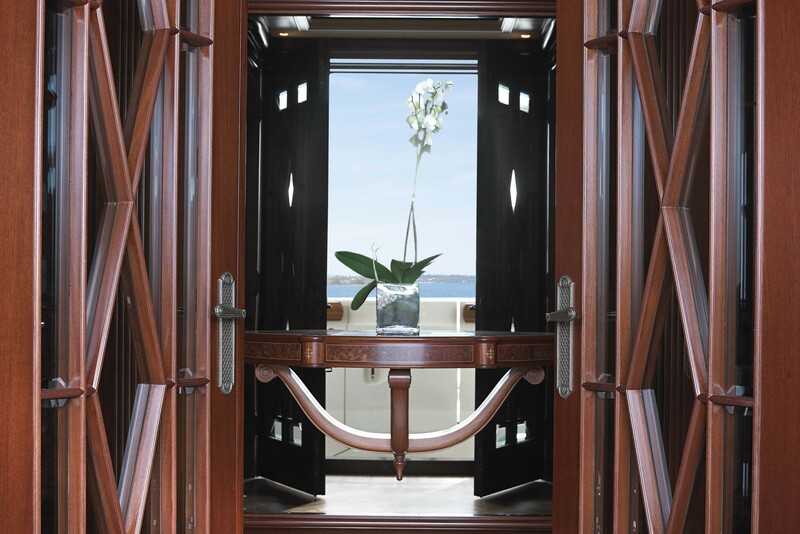 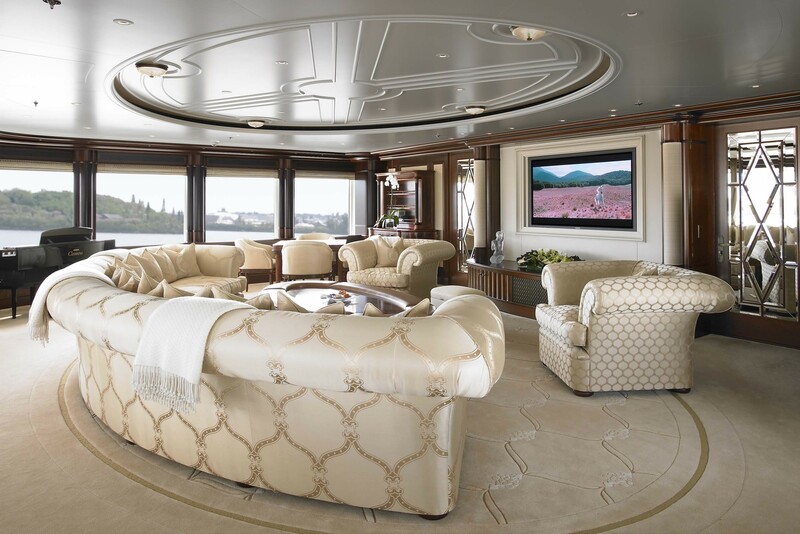 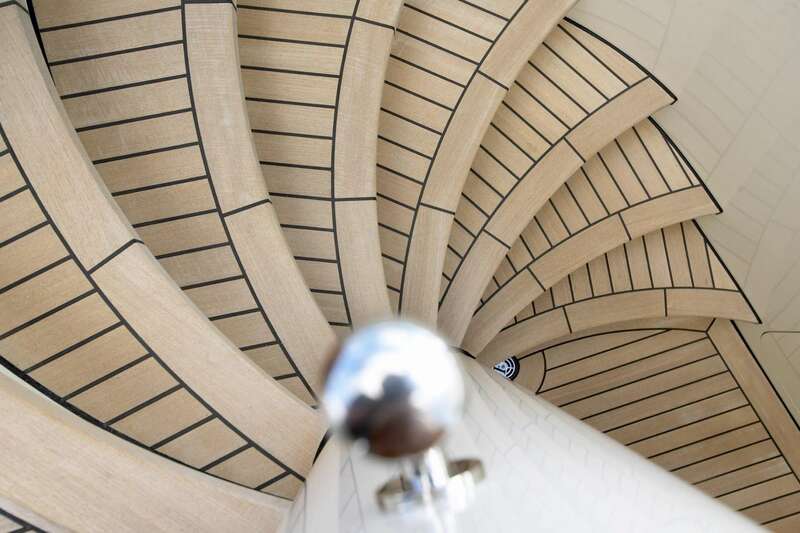 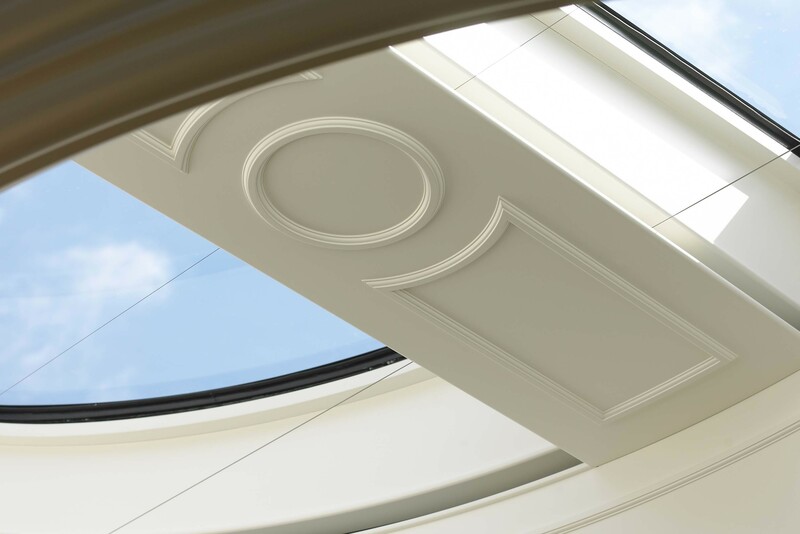 On the upper level of the master cabin is a vista lounge, offering spectacular 180° views. 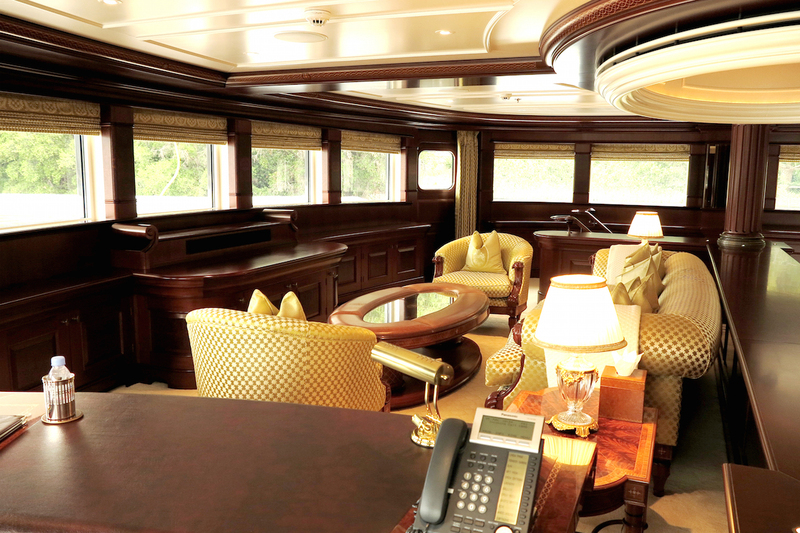 Forward of the skylounge on port side is the VIP cabin. 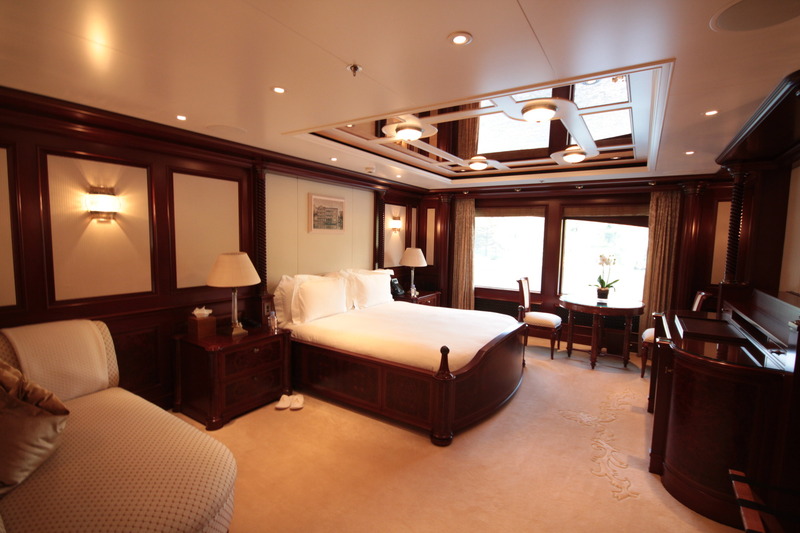 Additional accommodation is on the lower deck, with two double and two twin cabins; the twin cabins offering Pullman berths. 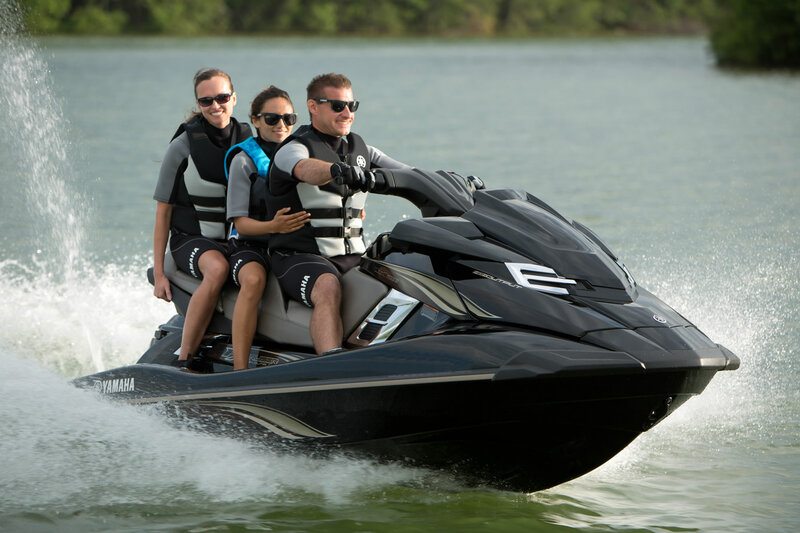 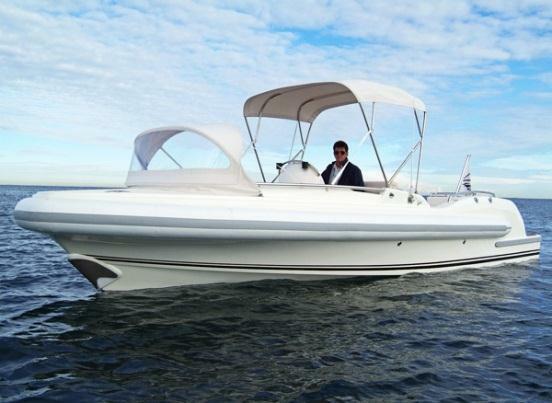 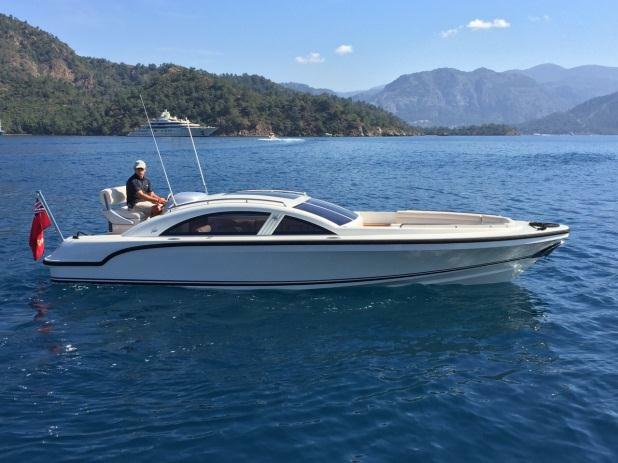 The yachts tenders, toys and equipment include one Vikal 8m Limo tender, one Vikal Open beach boat, a 4 m tender, a Novurania Rescue tender, two Yamaha SVHO 3 seater Jetski, two Windsurfers, a 9m slide, Laser 2000, two Hobie Quest Kayaks, four full sets of Dive Equipment, Waterskis and Wakeboards, two Sea Bobs, two Jet Surfs. 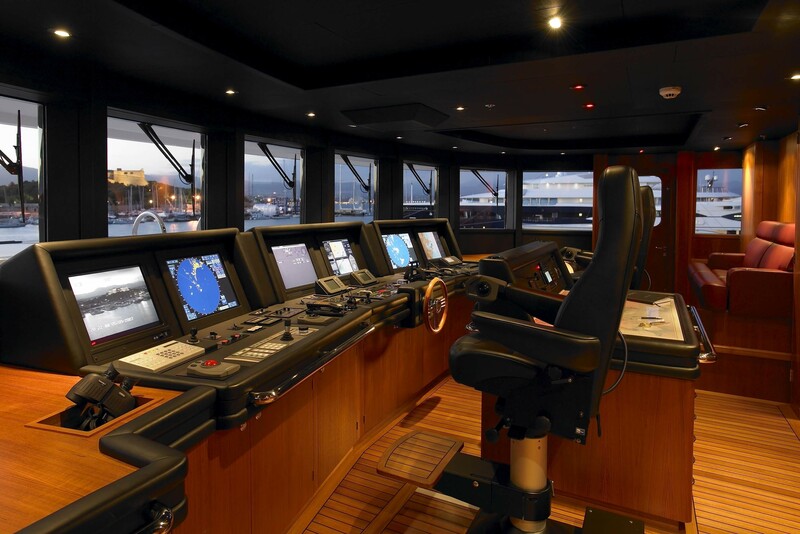 The Audio Visual equipment and communications include two VSATS, SAT C, IRRIDIUM, FLEET, four GSM LINES, Kaleidescape, Russian and English system, Crestron, Apple TV, projector and a Karaoke equipment.